Linen body woven with blue and green border. 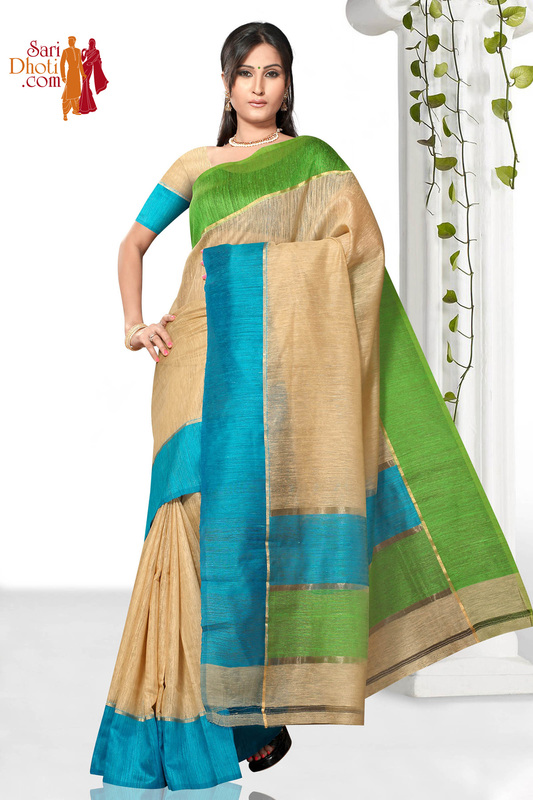 Blue and Green stripe Pallu. Blouse matching the body color.